The TASER X26P is the pinnacle of less than lethal self-defense. Offering the highest take-down power available, the X26P is a strong addition to any civilian self-protection plan. It is also the same innovative tool used and trusted by law enforcement agencies around the world. This means its effective against even the most aggressive assailants, or persons under the influence of drugs and/or alcohol. Its large size gives it a menacing appearance, stopping attackers in their tracks. Equipped with a durable holster and rugged carrying case, the X26P is suited for both home-defense and professionals such as security personnel or delivery drivers. 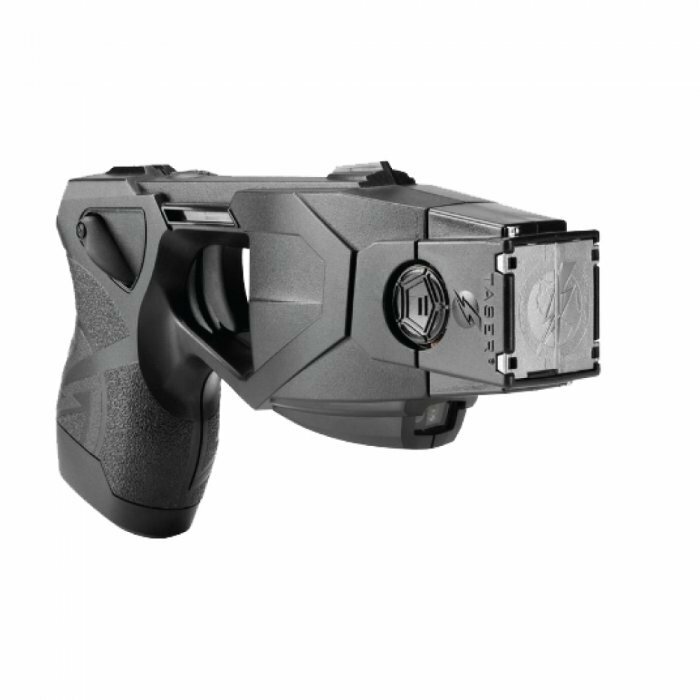 The TASER X26P immobilizes attackers for 5 seconds per trigger pull, providing single-fire/multi-cycle capabilities so you have enough time to make a Safe Escape. Each X26P kit includes two live cartridges, performance power magazine, right-handed Blackhawk holster and conductive target to practice and gain confidence with the self-defense tool. No license needed to carry openly or concealed in most states.